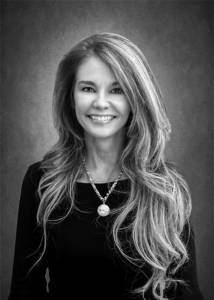 Kristin Lonergan is an Executive Vice President who joined Sleeper Sewell in 2000. Kristin has over 25 years of experience and is a second generation insurance agent. She specializes in domestic and foreign based companies of all types in the Life Science companies, therapeutics, drug development, Human Clinical Trials, bio-engineering firms, pharmaceutical manufacturing & development, medical device manufacturers, cancer research facilities, vaccine facilities, business incubators, cosmeceutical manufacturers, start ups, biotherapeutics, physicians, clean room & GMP compliance professionals, nutraceuticals, orthopedic distributors, drug reagent manufacturers, implantable & neuro-stimulating devices, chemical manufacturers, oil & gas related businesses, law firms, contract manufacturers, non-profit facilities, software developers & manufacturers, technology companies and contractors. Currently, Kristin is a member of Independent Insurance Agents of Dallas and the National Society of Insurance Counselors, she is North Texas Enterprise Center for Medical Technology sponsor, a member of the Saint Patrick’s Catholic School SPMC board, and she supports a variety of community groups including Rotary International, Salvation Army, St. Jude’s, Hendrick Academy, St. Vincent DePaul Society and Meals on Wheels. Kristin is a Certified Insurance Counselor (CIC) and is ISO9000 certified for quality assurance.